Generally Drilling well mud treatment system including the mud production, mixing, reserve three functions, according to the customer’s demand and water required for the storage of drilling mud, oil-base mud or composite base mud, it is part of the operaton of oil and gas drilling. In practical applications. 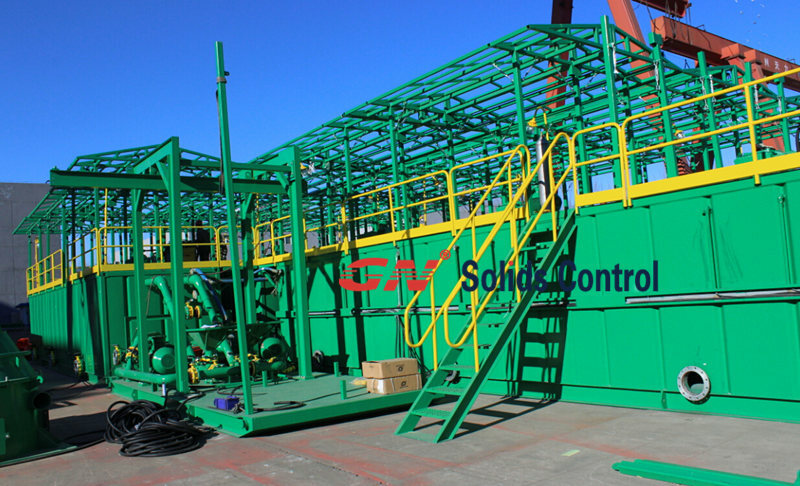 A drilling mud treatment system can provide mud for multiple drilling platform. 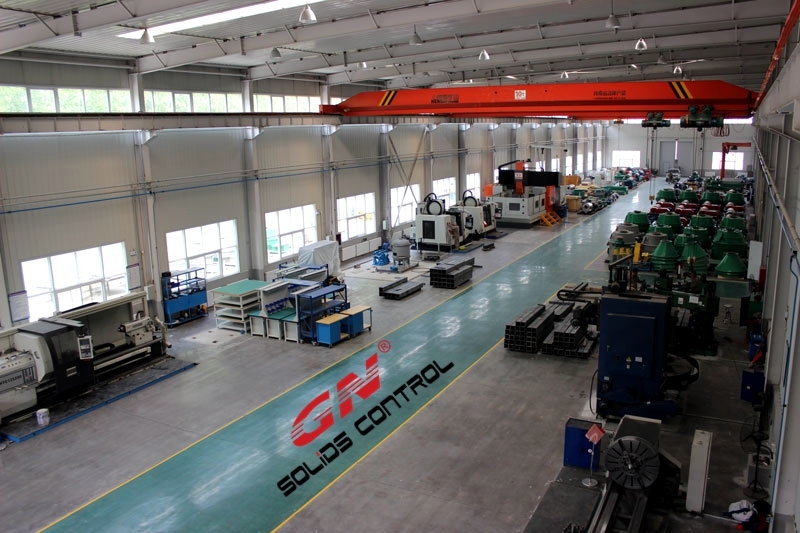 GN Solid control, specializing in the production of different kinds of mud system, like compact one, small mud system, large capacity mud system, HDD, oil drilling mud mud system, traditional river dredging and solid-liquid separation system, we all have rich experience in the design of the physical concept and production. We signed at the beginning of COSL a mud treatment station system, treatment station containing 17 mud tank. In October this year, we signed again from drilling mud treatment station customer contract in Africa. The system will provide drilling mud to customer’s three land RIGS drilling mud. 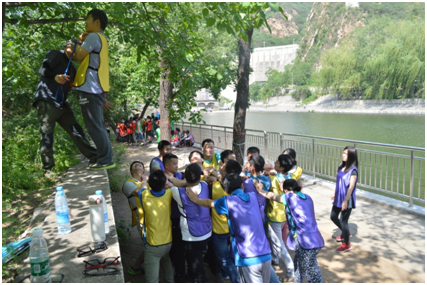 21 sets of mud gun, the design of rotary, cleaning can reach 360 degrees. 2 sets of slurry system used for slurry, 1 set of shear shearing unit used for chemical. In addition to the above mud treatment system, we also signed three sets of decanter centrifuge and 3 cuttings dryer in the contract. Centrifuge and drilling cuttings dryer, the factory is producing other equipment and will delivery the customer site within this week.